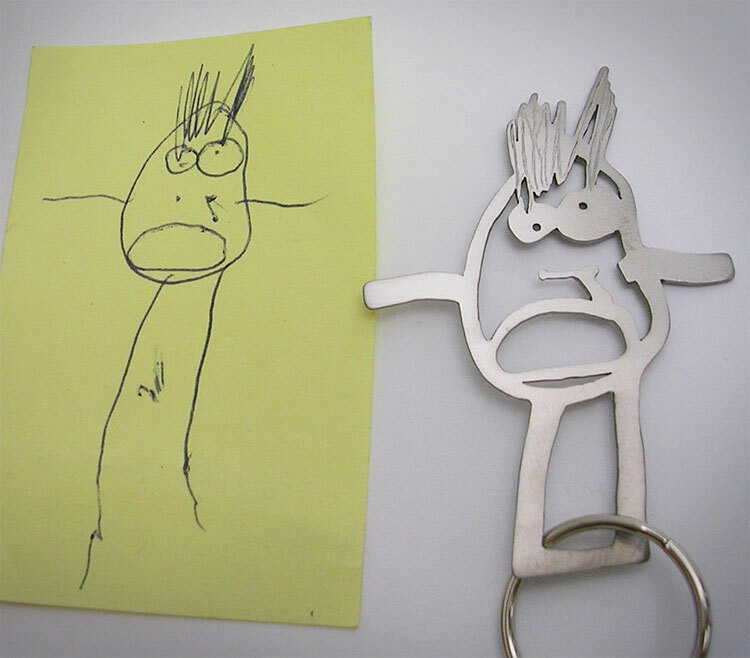 We all love our children's drawings! Even though they aren't the best drawers, it's their creation, and we just gotta support it, no matter how lopsided that person's legs are that they drew. 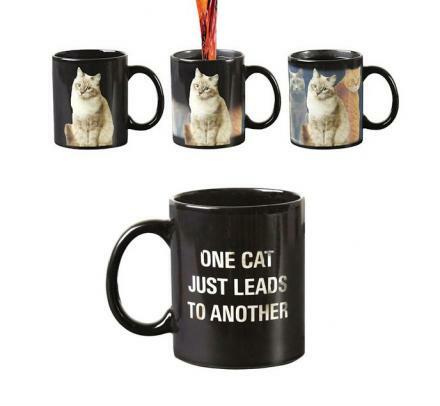 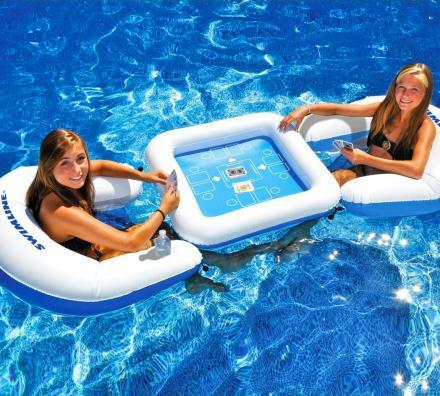 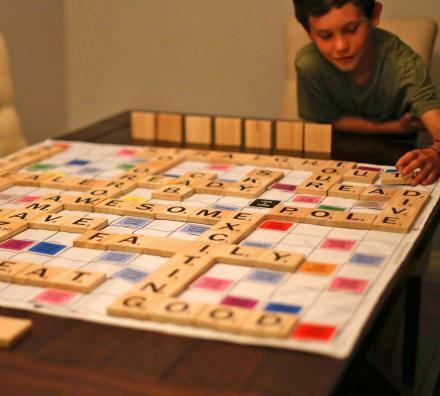 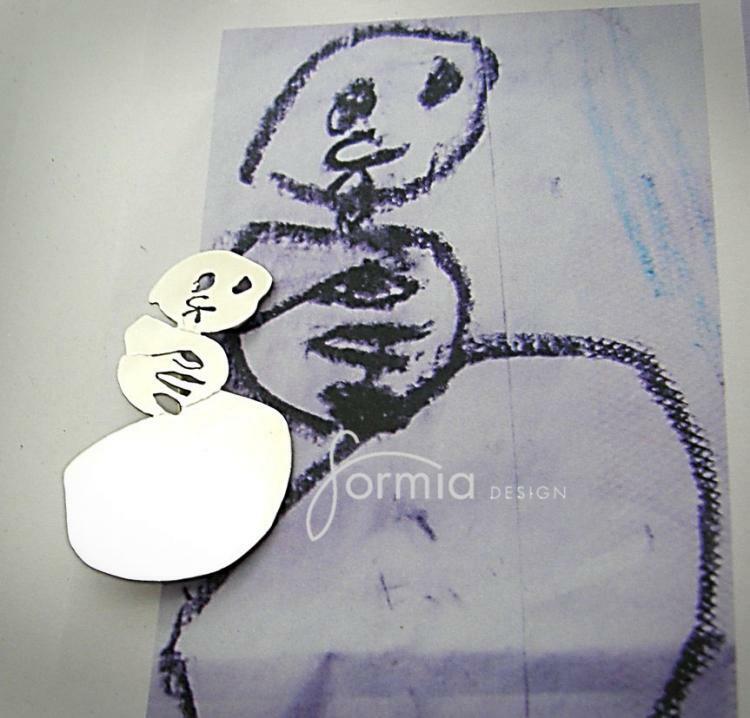 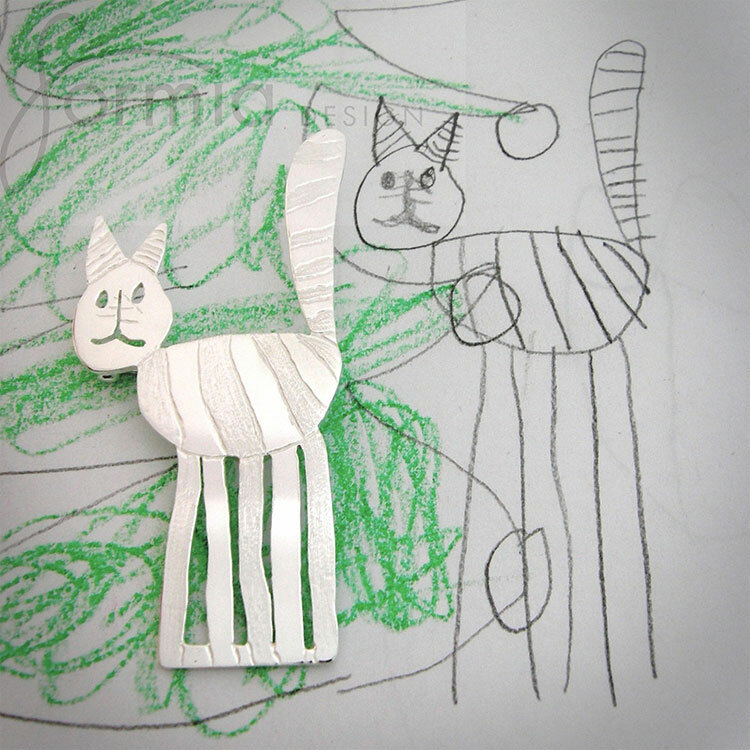 Don't you wish you could carry around your kids drawing with you everywhere? 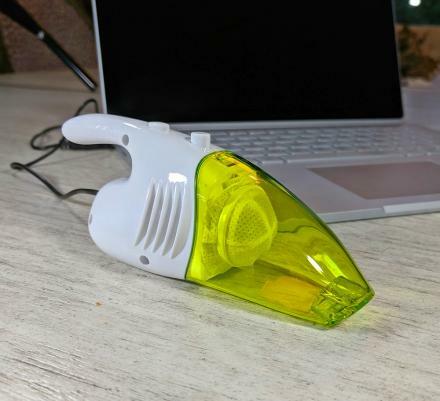 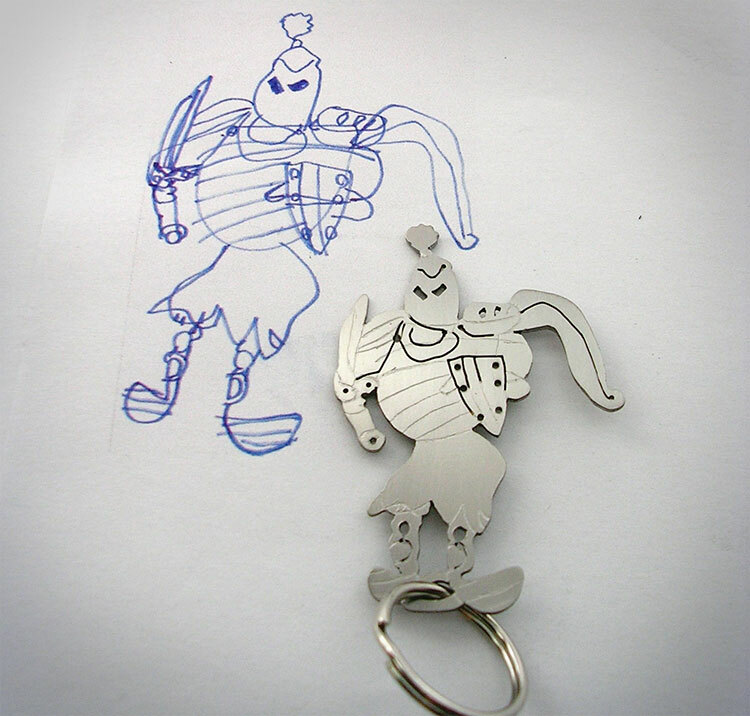 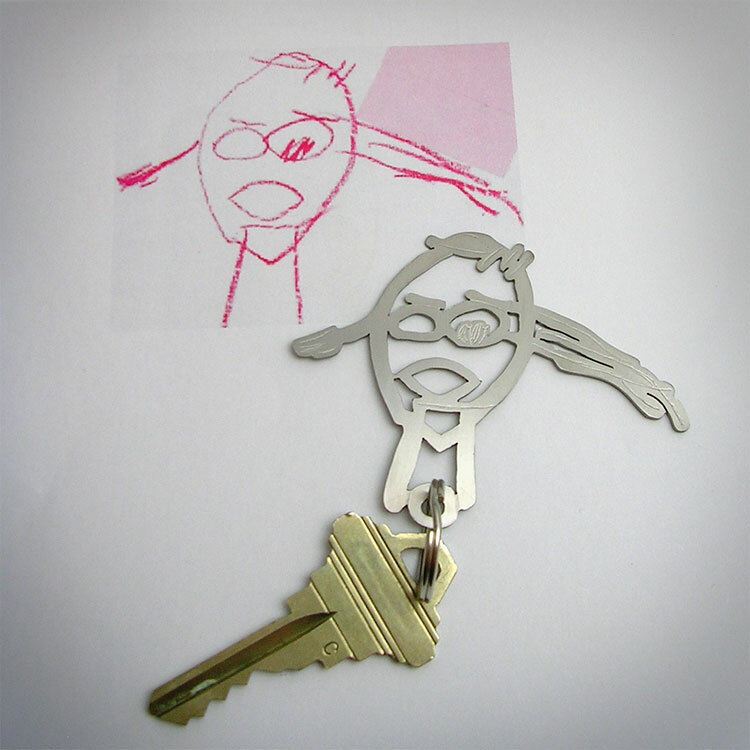 This company has a service that will turn your child's drawing into a key-chain so you can take it with you everywhere you go, right on your keys. 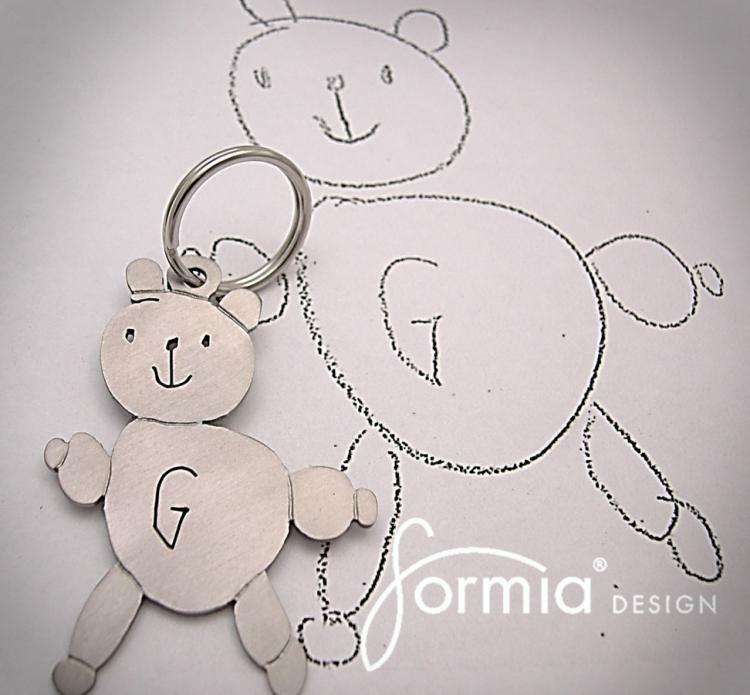 Perfect for a gift for Daddy on his birthday or Fathers day, a new grandfather, or just some guy who wishes he had kids so he drew himself some crappy drawing and made it into a key-chain. 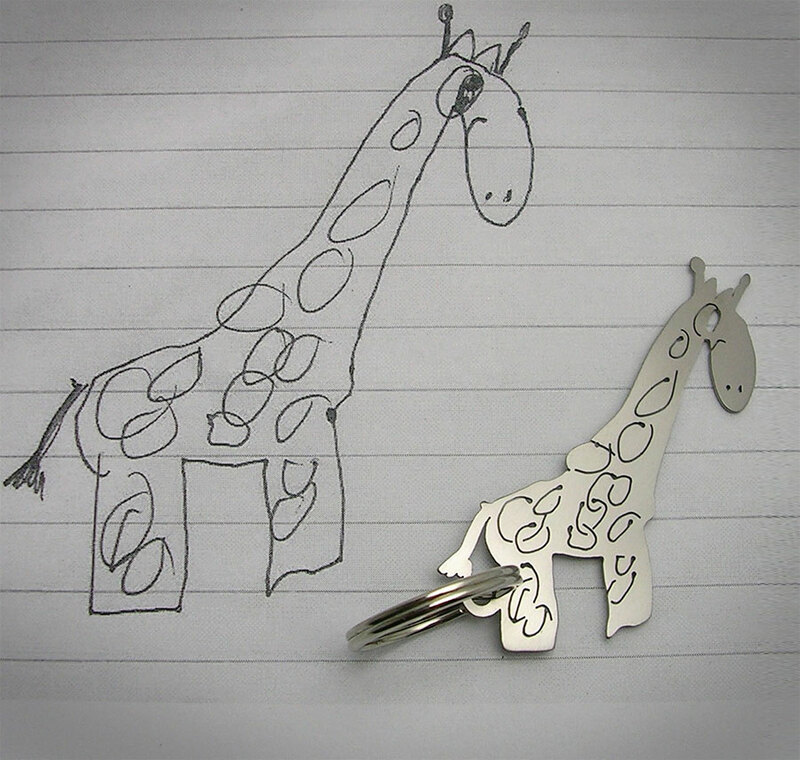 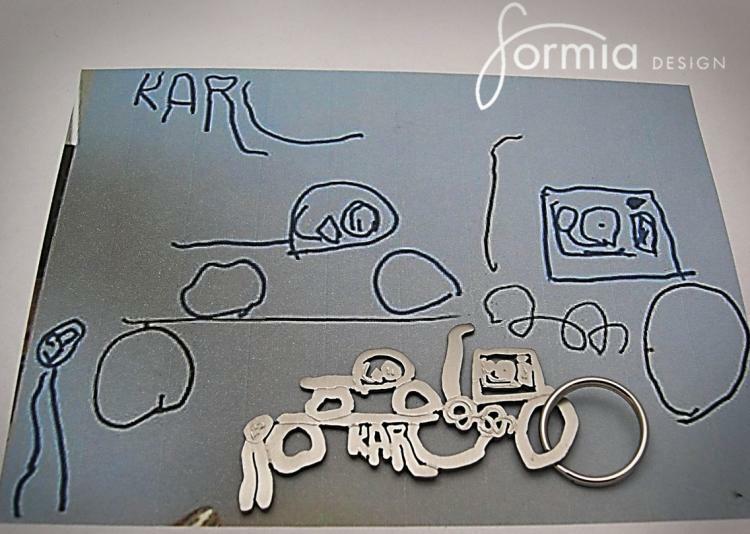 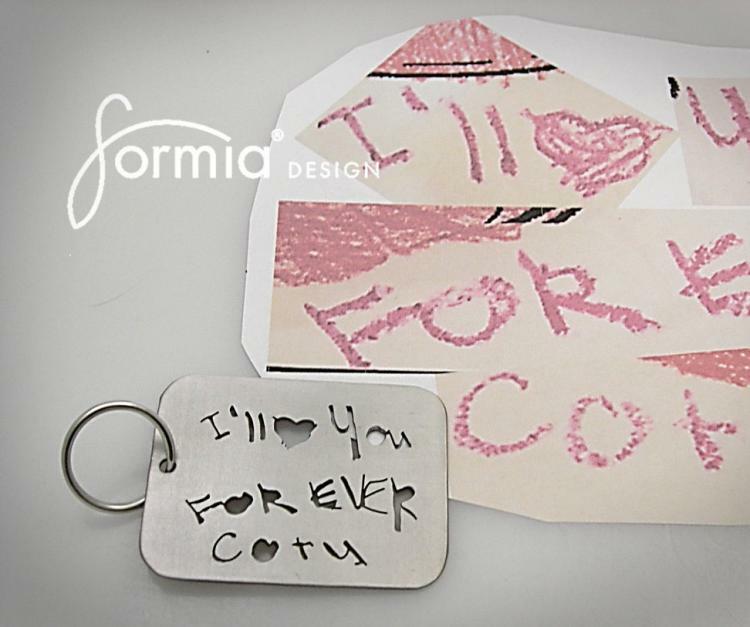 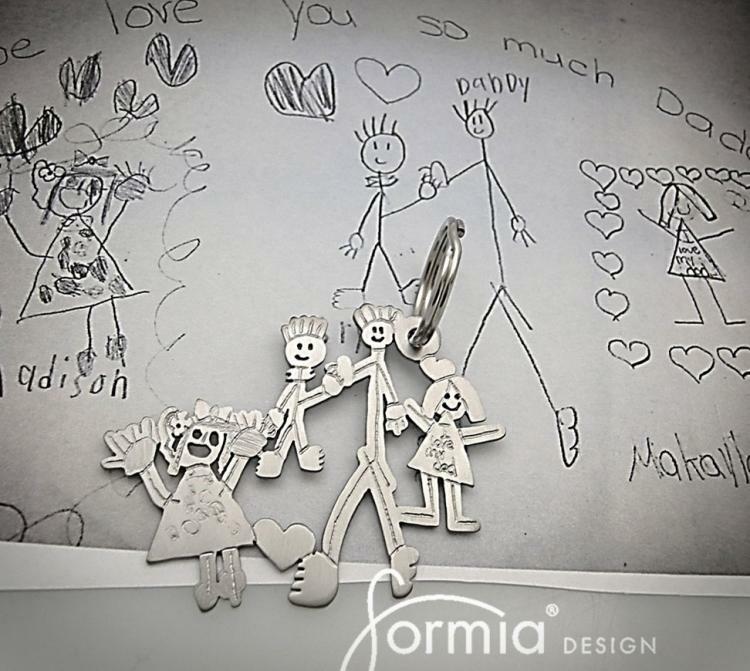 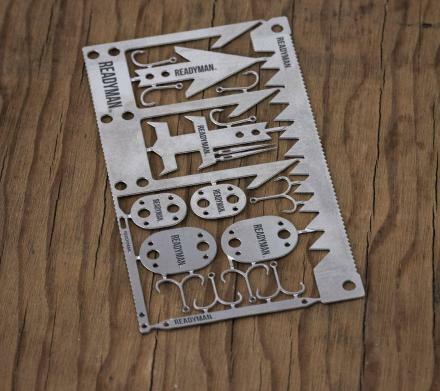 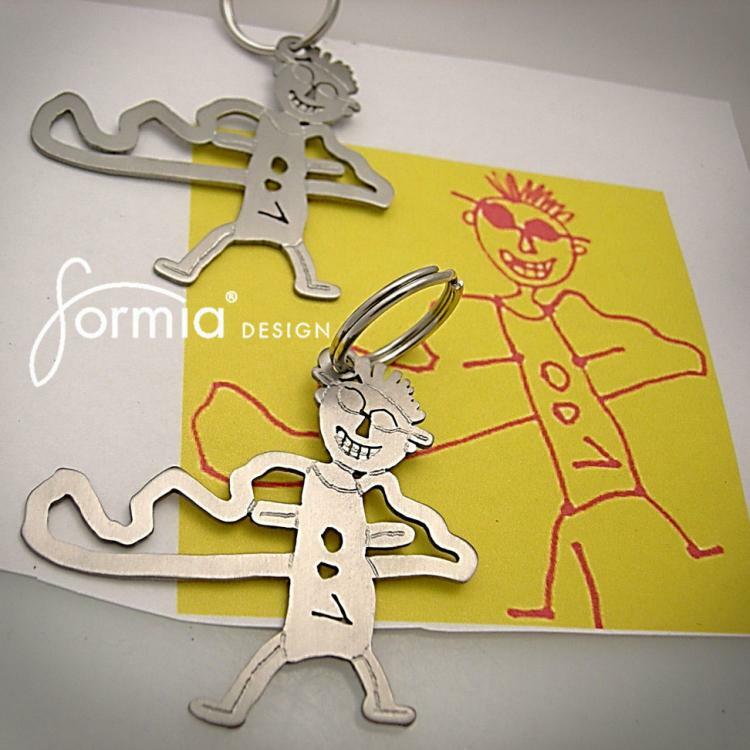 The key-chain made from your child's drawing is custom made from your child's actual drawing that you send in, are handmade from titanium, and depending on the details and complexity of the drawing, prices will range between $89 - $139.